Select one or more pages in the Pages panel. 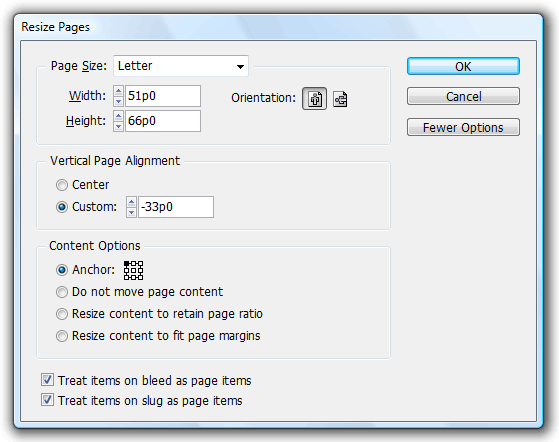 Choose Resize Pages from either of the three Pages menus. Resize Pages dialog will pop up.